This chapter explores different ways of learning language through literature and provides three snapshots of language teachers using literary texts. The writers conclude that there are many possible approaches, depending on how teachers view the goals of literature and the language teaching methodology they employ. 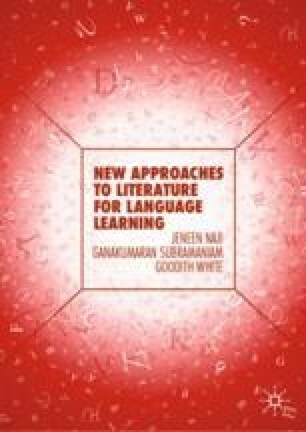 They conclude that the ways in which literary texts foreground information through the use of parallelism, deviation, metaphors, and other figurative language actually helps student to ‘notice’ language, and they also discuss how a complexity theory of language acquisition may be the most appropriate model for learning language from literature. The thorny problem of difficult language and whether to deal with it by simplifying texts is discussed, as are corpus-based approaches to teaching language through literature. Finally, suggestions are made for improving the four language skills through the use of literature. Adriano, L. (2018, March 5). CLiC in the Classroom [Blog post]. Available at https://blog.bham.ac.uk/clic-dickens/2018/03/05/clic-in-the-classroom/.